Global stock markets have picked up where Wall Street left off, plunging into negative territory. Major indexes in Asia and Europe were in the red on Monday. The losses follow the 2.5% drop in the Dow on Friday, its biggest percentage decline since the Brexit turmoil in June 2016. "Panic sentiment is spreading globally," said Margaret Yang Yan, an analyst at CMC Markets in Singapore. The sell-off hit Japanese stocks hard: the Nikkei fell 2.6%. Other major markets in retreat included Hong Kong's Hang Seng index, which sank 1.1%. European markets, which posted significant losses on Friday, were off by over 1% in early trading. U.S. stock futures were also pointing lower, with the Dow expected to open down about 0.6%. Wall Street's plunge Friday came after U.S. jobs data showed wage growth is finally beginning to strengthen. That's a sign of a health American economy, but investors freaked out because it suggests inflation, which has stayed puzzlingly low for a long time, may be starting to pick up. Higher inflation brings a host of worries for markets because it means the Fed could raise interest rates faster than previously expected. That could dent corporate profits and cause chaos in bond markets. Former Fed Chairman Alan Greenspan said last week that both stocks and bonds were in a "bubble." But experts point out that the latest declines are still modest compared with the hefty gains of recent months. Many stock markets around the world have been trading near record highs. 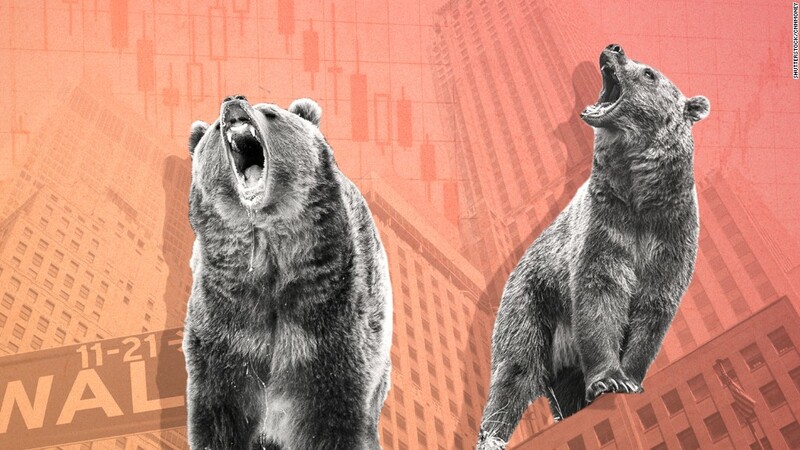 Traders are now wondering if "last week's reversal in U.S. stocks and the ugly close Friday ... is likely the start of something bigger," said Greg McKenna, chief market strategist at currency trading platform AxiTrader. He noted that some assets that investors typically turn to during periods of market panic -- such as gold and the Japanese yen -- haven't seen big gains so far. "Markets haven't really kicked off yet," McKenna said. "Not in the way they might."